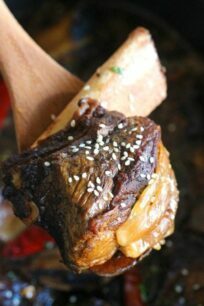 Slow Cooker Asian Short Ribs are so tender they fall of the bone. Cooked with lots of fresh garlic, ginger and chili peppers for fantastic flavor. Asian Short Ribs are the perfect family meal, you can serve them with Chunky Mashed Potatoes, Instant Pot Roasted Potatoes and Slow Cooker Rice and Beans. Slow Cooker Asian Short Ribs are so delicious and incredibly tender that you will make them over and over again. This meal is perfect for busy families. All you have to do is add the ingredients to the slow cooker and let it work its magic. Slow Cooker Asian Short Ribs are so tasty, that you can easily make them for a holiday or special occasion. I like that the recipe can feed a small crowd, or if you make this for your family only, you will be rewarded with delicious leftovers. The ribs are slowly cooked with lots and lots of garlic, onions, fresh ginger and dried chili peppers. I like to serve them with mashed potatoes, rice and steamed broccoli, or a light salad on the side. Use grass-fed, organic meat if possible. Because grass-fed meet tends to be extra tender, which is perfect in this recipe. While not necessary, for best results and taste, I highly recommend browning the short ribs. It will take you just 10 extra minutes, but it will improve the texture and taste and also will lock in all the delicious flavors. If you are looking to make this recipe Gluten Free, use Tamari instead of soy sauce. You can add more garlic based on preference. The chili peppers are optional, I think they add a nice, subtly spicy kick. You can leave them out, or add more if you prefer. Same for the red pepper flakes. Fresh ginger works so much better in this recipe than the powder. 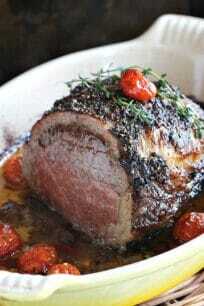 It will add a beautiful aroma to the dish, that is refreshing and nice. I like to add a few onions to the slow cooker, because they will add great flavor to the broth, and you can discard them after cooking. For optimal results, using a ladle I like to pour some of the sauce on top of the ribs, I do this 2 times thru the cooking process. Can you use a Slow Cooker for ribs? YES. It’s a perfect way to have the most tender and tasty ribs on your plate. By cooking the ribs in the slow cooker for 8-9 hours, you are guaranteed to have them cooked to perfection, and having the meat juicy and breaking down the bone. Can you make Short Ribs in the Pressure Cooker? Yes, you can, and its actually very easy and time efficient. Check my recipe for Instant Pot Short Ribs and Best Instant Pot Ribs. 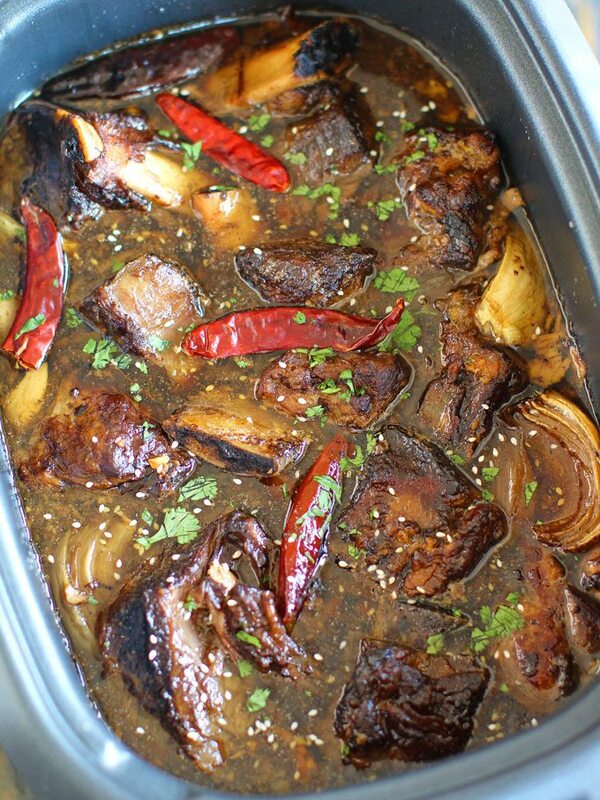 Can you store the Slow Cooker Asian Short Ribs? Yes. Store the ribs after cooking in a large airtight container in the fridge. Make sure that the beef is at least partially covered by the sauce so it doesn’t dry out. Reheat before serving. 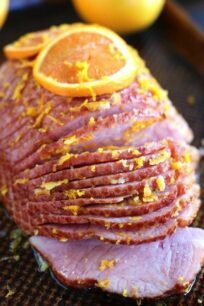 Brown Sugar Ham with Orange Glaze – made with lots of fresh orange zest, this ham is full of flavor. Slow Cooker Chicken Tortilla Soup – such an easy recipe, you literally just add everything to the slow cooker and you are done. Creamy Slow Cooker Tortellini Soup – perfect on a rainy day! Crockpot – very reasonably priced and definitely a kitchen must have if you are busy. Bay Leaves – I like using bay leaves in my recipes, they add a nice flavor, I always use them in soups and stews. Worcestershire Sauce – definitely a specialty ingredient that it’s great to have on hand for beef recipes. Beef Broth – I always use organic in recipes, it also adds a tone of flavor. 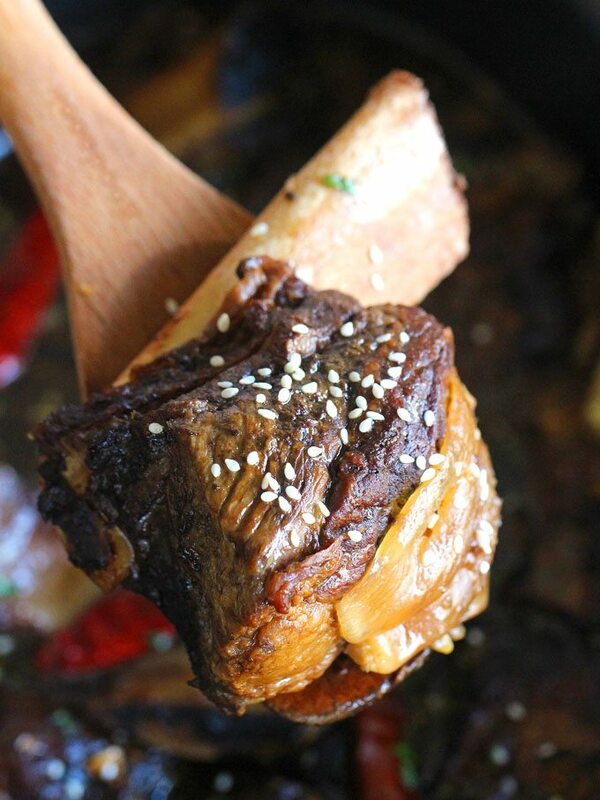 Slow Cooker Asian Short Ribs are so tender they fall of the bone. Cooked with lots of garlic, ginger and chili peppers for fantastic flavor. Transfer ribs to a 6-qt slow cooker. Distribute evenly on the bottom. In a large bowl, whisk together: soy sauce, beef broth, brown sugar, minced garlic, ginger, sesame oil, Worcestershire sauce and red pepper flakes. Stir until well combined. Add the mixture to the slow cooker over the ribs. Add the 10 whole garlic cloves, distribute evenly, also between the ribs. Same for the quartered onion and bay leaves. Top with whole dried chili peppers. Cover and cook on low heat for 8-9 hours or high heat for 4-5 hours. If you can, mid cooking, using a ladle, pour some of the slow cooker sauce on top of the ribs. Once cooked, in a small bowl, whisk together cornstarch and ¼ cup water until fully combined, with no clumps. Gently stir in mixture into the slow cooker. Cover and cook on high heat for an additional 30 minutes, or until the sauce has thickened. Garnish with parsley and sesame seeds. Serve and enjoy! « Previous PostChocolate Mousse Brownies or Best Brownies EVER! Talk about some amazing flavor!!! These look delicious! My family loves ribs, and these would go fast in our house! This is the perfect weeknight dinner. Those look so mouthwateringly good! I’m loving these flavors….and the slow cooker must make it extra amazing! 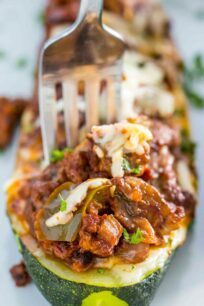 I adore the ease and simplicity of slow cooker meals, and the wonderful combination of flavors – the garlic, and ginger and chili peppers – sounds so fantastic! True comfort food, with an exiting Asian flavor twist!